As a replacement for the outgoing Andre Simoes, AEK concluded a contract with 28-year old Serbian midfielder Nenad Krsticic, who was signed from Red Star Belgrade for 500,000 thousand euros. AGONAsport analyses his career. It didn’t take long for Krsticic’s talent to be noticed. After beginning his career with hometown club OFK Beograd, Italian club Sampdoria suddenly came calling in September 2008, with the Serie A outfit parting with one million euros to secure his services. Krsticic was highly thought of among Sampdoria officials, but after receiving surgery for a knee injury in late 2008, disaster struck. In December 2008, Krsticic travelled home to Serbia for the Christmas break, but something wasn’t right. He barely had any appetite and was complaining of severe stomach pain, and after being summoned back to Italy by Sampdoria, it was revealed that Krsticic was suffering from Burkitt’s lymphoma, a rare form of cancer. Krsticic was reportedly told he only had a matter of days to live. Nevertheless, despite the terrible news, Krsticic refused to wave the white flag and vowed to play football again. In the end, he spent four long, frustrating months in hospital, but with his family by his side in Italy, Krsticic pulled through. Having lost plenty of weight, Krsticic required plenty of time to get back into shape for training with Sampdoria again, eventually returning to the squad a year later. In April 2010, Krsticic was finally able to lace up his boots again, participating in a Sampdoria youth match against AC Milan. In that particular game, he even managed to score a goal. It took a while for Krsticic to force his way into the Sampdoria first team, but on 16 December 2010, he was given his debut in a 0:2 defeat to Debrecen in the UEFA Europa League. In the following 2011/2012 season, Krsticic started to make an impression with Sampdoria, making 13 Serie B appearances to help the club earn promotion to the top flight. Krsticic gradually progressed with every passing season. 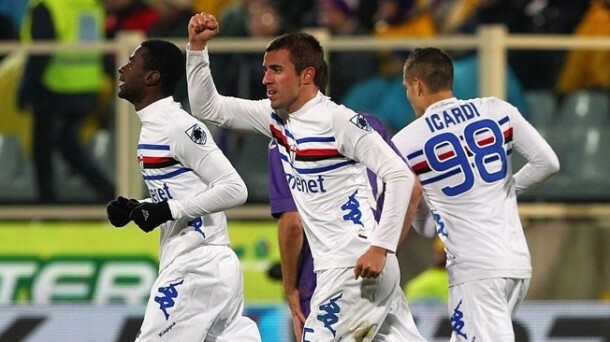 Playing in the middle of the park, the Serbian was giving solid performances in Serie A, scoring his maiden goal for Sampdoria in a 1:1 draw with Fiorentina in the 2012/2013 campaign. Unfortunately for Krsticic, he fell out of favour during the 2014/2015 season. In the first section of the campaign, he was barely given any playing time, and Sampdoria took the decision to offload him on loan to Bologna in Serie B. To his credit, Krsticic performed well enough at Bologna to earn a recall to Sampdoria, but he was hampered by injuries in the 2015/2016 campaign and subsequently joined Alaves in July on a free transfer. In the one season in La Liga with Alaves, Krsticic struck three goals in all competitions, but he never settled in Spain and opted to pen a two-year deal with Red Star Belgrade in August 2017. In Serbia, he’s well and truly got back on track, transforming into a key figure for the Red Star as they clinched the 2017/2018 Serbian SuperLiga. Krsticic contributed with four goals and one assist in the domestic championship, claiming his first major trophy in the process. This season, Red Star were placed in a daunting UEFA Champions League group with Paris Saint Germain, Liverpool and Napoli, but they held their own with four points in six matches. Overall, Krsticic played in five of the group stage games, and he had previously scored one goal and dished out one assist in eight qualifying matches. Krsticic is a perfect example of a flexible midfielder. His natural position is in the centre of the field, but if needed, he can move further forward and is equally as competent when shielding the defence. Given Andre Simoes’ departure, Krsticic will most likely partner Konstantinos Galanopoulos in midfield, meaning he will be expected to protect the back line and provide the transition to attack with crisp, accurate passing. Krsticic’ willingness to give 100% in every match should install some energy into this struggling AEK team, and considering the Kitrinomavri’s thoroughly disappointing season so far, he needs to make an instant impact. On the international stage, Krsticic has played in four matches for the senior Serbian national team.